Wilton Manors is well-known for its parks, small-town atmosphere, and popular local businesses. Sometimes called the “Island City” because forks in the Middle River, this city is host to an array of industries and tourism. Because of its popularity, businesses in Wilton Manors must employ security measures to protect consumers and property. A state-of-the-art security system for retail shops and other businesses is a wise investment. Cutting-edge security features and expert advice are not the only services Hi-Tech Security has to offer its clients in Wilton Manors. We provide customizable security options for large and small commercial and retail businesses that are affordable and efficient. Help your growing company experience the benefit of our security systems today and discover how easy it is to create a package tailored to your needs. Today’s security technology is advancing rapidly. Manufacturers are creating cutting-edge commercial security systems with customizable options for businesses of any size. Some options include the ability to monitor your business from virtually anywhere with your favorite smart device. Managing these security systems is equally as convenient so that business owners can stay connected with their daily operations easily. 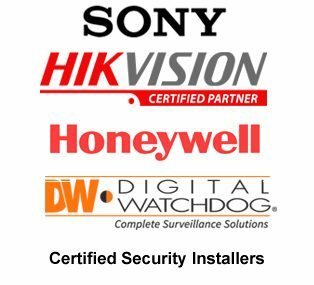 Wilton Manors business owners looking to purchase a top-notch security package favor the closed-circuit television or CCTV cameras to handle their monitoring needs. These types of systems are a reliable way to protect a company’s precious assets and property. Having a base quality of 1080P and the ability to integrate with Transfer Video (TVI) and Internet Protocol (IP), will offer you a wide variety of models that will satisfy your business needs. Hi-Tech Security has a variety of CCTV camera types to benefit your business. We are proud to offer many types of cameras that all you to store and review your footage using a Digital Video Record (DVR) or a Network Video Recorder (NVR). Not only do these type of systems make accessing your camera features easy, but you can use your everyday favorite smart device like a smartphone, laptop, or desktop. Hi-Tech Security strives to make managing your security system as convenient as possible so that you can easily search, monitor, and control your security system from just about anywhere. Hi-Tech Security Systems encourages our customers to do their research and compare us to the competition to see just how much our knowledge of security systems and installation surpasses other companies out there. We have served the Walton Manors community for over 14 years and are always thankful for the continuously positive reviews we receive regarding our services and products. All of our low-voltage contractors receive thorough training and follow all the standards set forth by the National Electric Code (NEC). We offer lifetime technical support for our installations because we appreciate your business and the investment made in a top-notch security package. Contact our Wilton Manors installers today at (954) 394-2292 so we can give you a free consultation and quote.